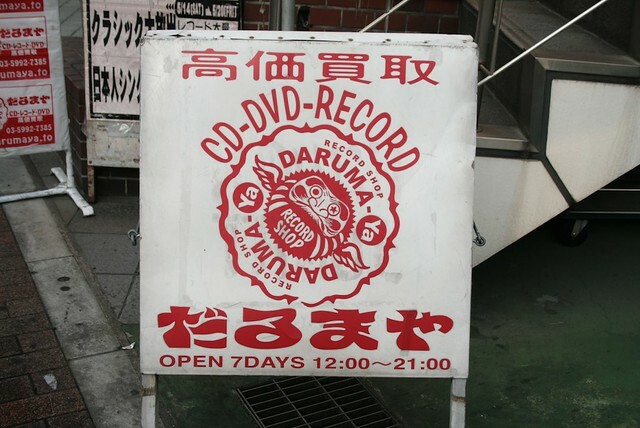 The Darumaya record store is definitely a must go if you come to Japan. 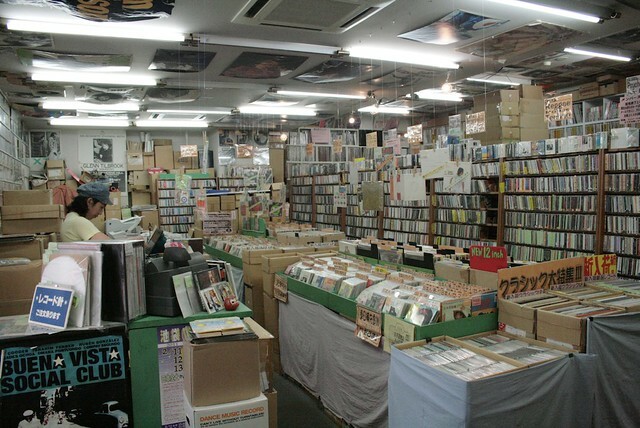 Open in 1995 by Hagiwara-san, this fairly big shop is a fantastic treasure field for happy diggers. 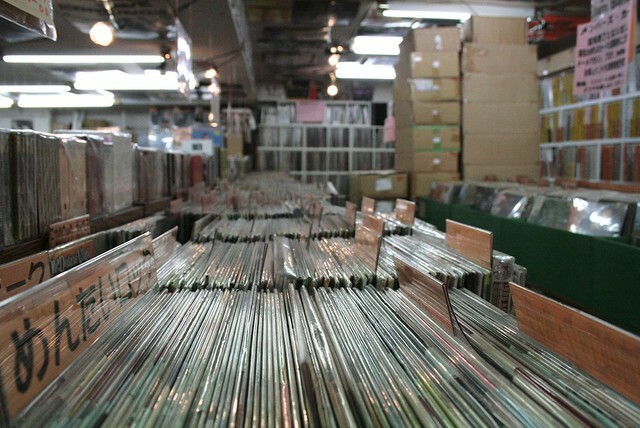 Located close to Ikebukuro Station, in the Northern part of Tokyo, it is probably the biggest stock of LP’s physically available in one place in the country. 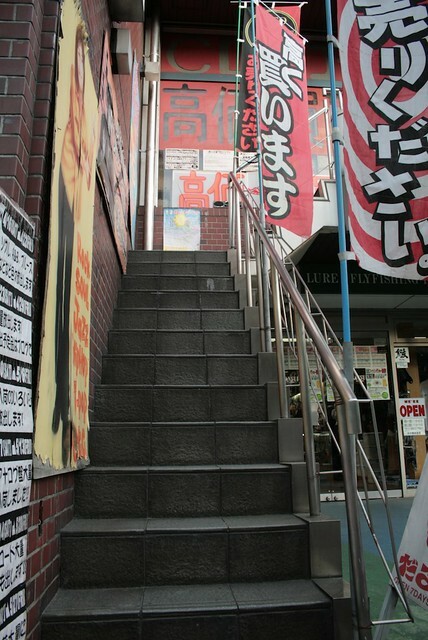 To find Darumaya, walk alongside the Parco building and look out for the funky paintings in the outside staircase. 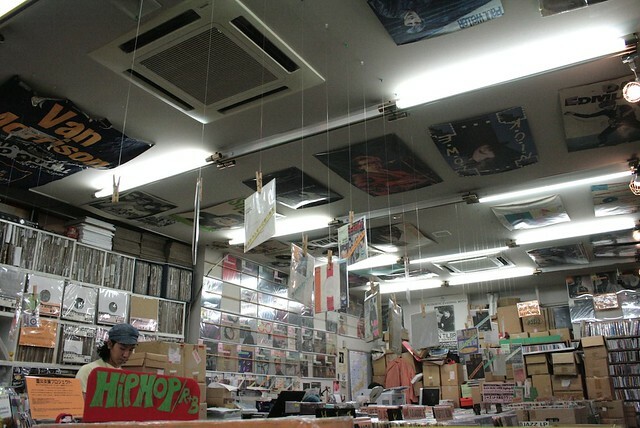 The store is on the 2nd floor of the building. 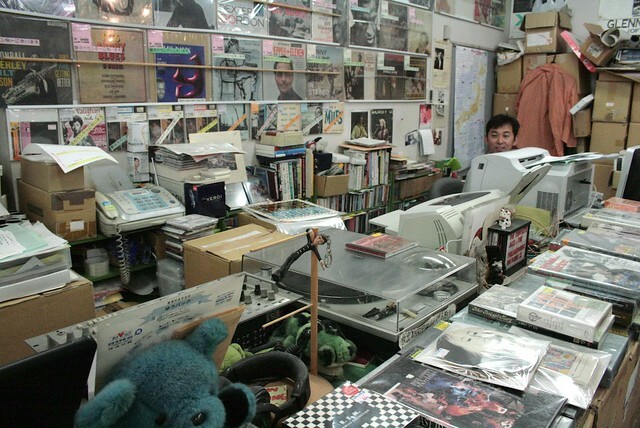 Because, there is something important about Hagiwara-san : not only is he the owner of Darumaya, but he is the organizer of the “Ikebukuro Record Fair” that happens at least 3 times per year. 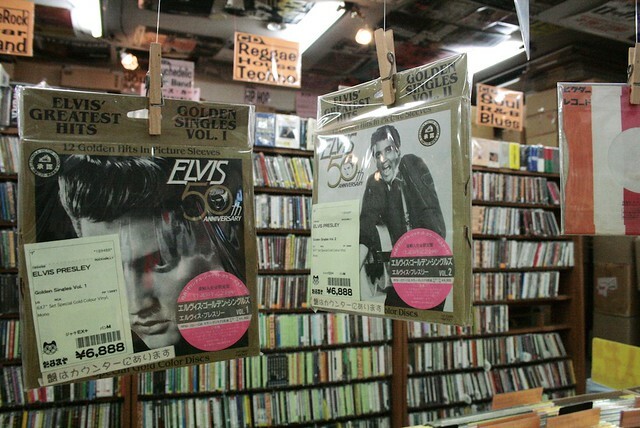 It takes place in the “kumin center” (a place provided by the City Hall of this part of town, next to Ikebukuro station) and, each time, about 20 record shops from all over Japan bring a big chunk of their catalog to sell (check out an earlier post in this blog about the February edition). 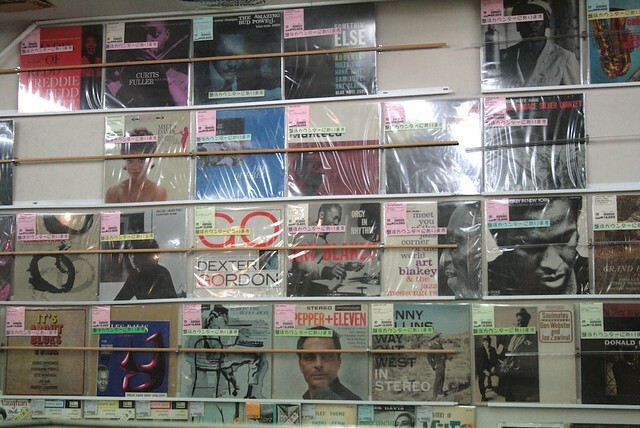 Hagiwara-san knows all of them personally and there lies another source of good stuff. The next edition of the fair is on June 10-11-12. Don’t miss it if you happen to be around. 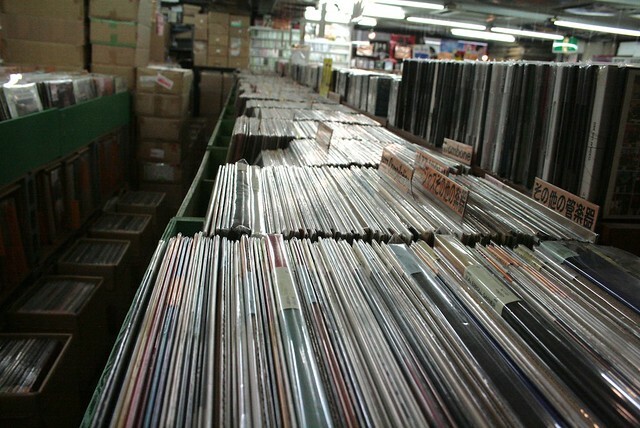 Check out the website, there is an English and it is possible to buy on-line. 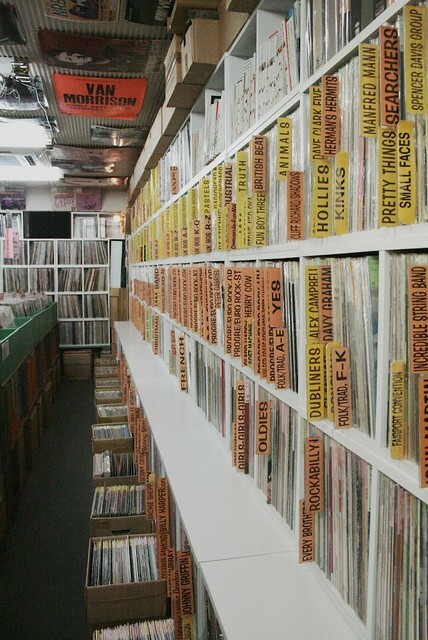 Note : They have moved their store in June 2012. Below is the new address. I love the logo - did you notice if they have t-shirts available? I still prize the Flash Disk Ranch shirt that I picked up on my last trip to Tokyo. 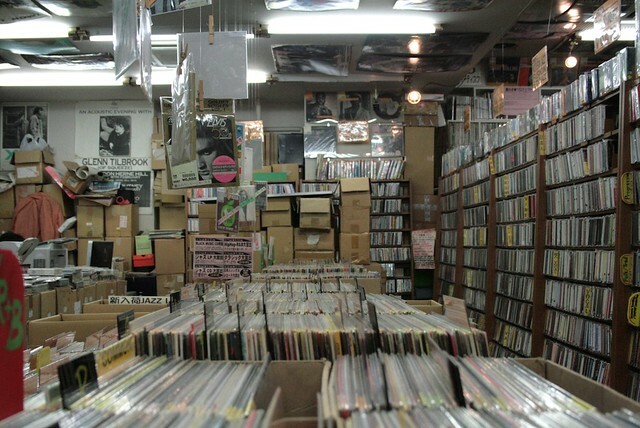 This record shop is now defunct, or online only. Website still looks like it's working, but there is no longer a shop in that area. So sorry about this sad experience. Apparently they have moved since last year. We'll ask them to update this post.